This open-air sports car is unlike any other, offering a unique exterior design that exudes style from every surface, a powerful turbocharged engine that will send you sailing over the open road, and an affordable price that won't break the budget! What's not to love! New enhancements for the 2018 model year include reconfiguring of the trim levels features so you have better access to the features you deem important and a brand new Red Top Edition that is a looker! 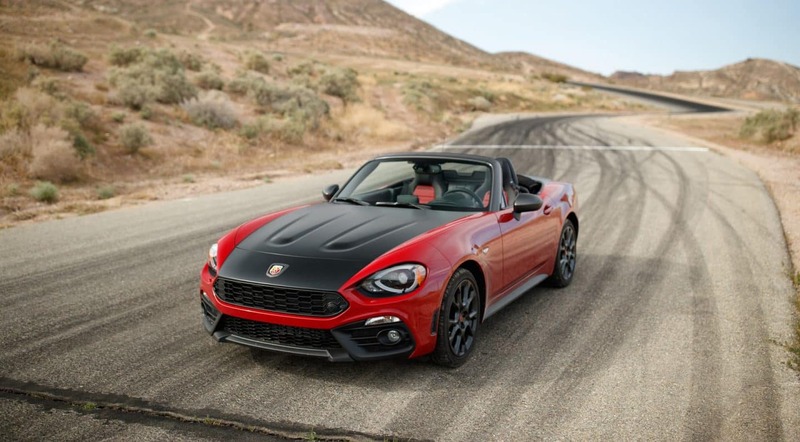 Keep reading the rest of our 2018 Fiat 124 Spider review to learn more about this sports car's engine capabilities, interior and exterior features, and all the safety equipment that will have your back! 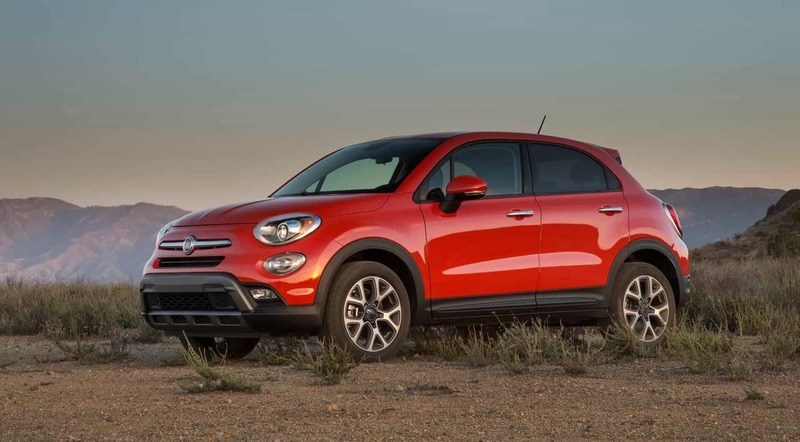 What kind of features do the trim levels offer? The exterior of the 124 Spider has been sculpted to ignite memories of classic 124 Spiders of the past. Overall the roadster is four-inches longer and there are delicious exterior colors to choose from like Rosso Passione and Bianco Gelato. Inside, you'll find ample passenger room and a sleek and easy-to-use infotainment system! There are three trim levels available for the 2018 model year: Classica, Lusso, and Abarth. Standard features include a three-inch display screen, push-button start, a leather-wrapped and tilting steering wheel, keyless entry, Bluetooth, four-speaker sound system, a height-adjustable driver seat, air conditioning, and 16-inch wheels. The Lusso gains driver assistance features, automatic windshield wipers, automatic headlights, a larger touchscreen, fog lights, and more. The Abarth adds a driving mode selector, a performance-tuned suspension, Brembo brakes, unique styling cues, and leather and microfiber trimmed seats. There are a few packages available throughout the trim levels for optimum customization. What kind of engine powers this open-air sports car? Under the hood of every 2018 Fiat 124 Spider, you will find a Fiat-engineered engine that will blow the competition away! 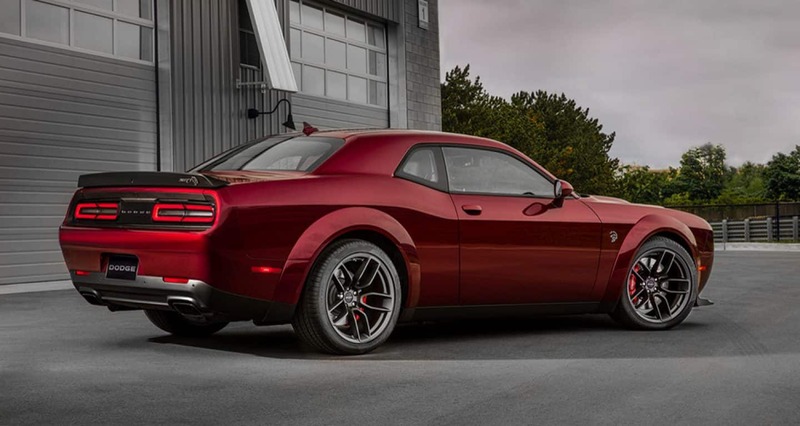 This 1.4-liter turbocharged four-cylinder engine with MultiAir technology delivers 184 pound-feet of torque and 160 horsepower. Under the hood of the Abarth trim, this engine cranks out 164 horsepower! There are two transmission match options for this engine, they include a six-speed manual or six-speed automatic. Both options power the rear wheels. The manual gearbox offers the ability to slip the clutch and a short shifter for quick acceleration! 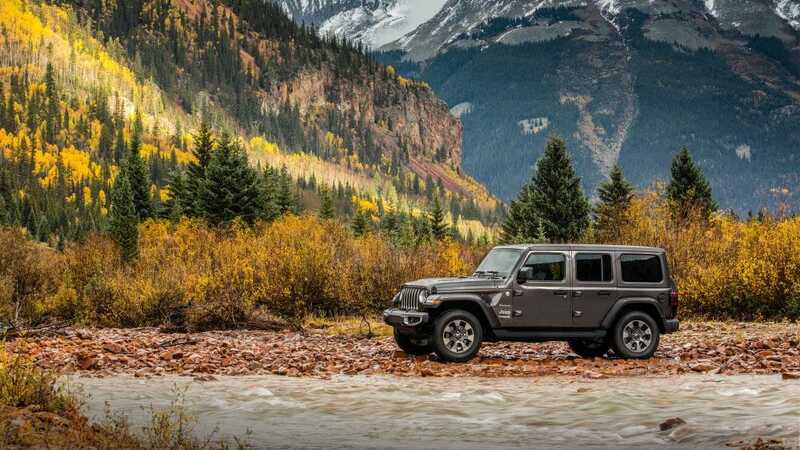 The EPA has estimated that this engine can get up to 36 miles per gallon when cruising on the highway with the automatic transmission and 35 mpg with the manual. Are there any standard safety features for the 124 Spider? The Fiat 124 Spider offers driver additional confidence behind the wheel when out on the open road thanks to standard and available safety and security features! First up is the Steel Safety Frame. This frame is equipped with crumple zones that help to absorb energy and redirect it away from passengers in the event of a collision! Standard features include a black molded roll bar cover, dual-stage front airbags, daytime running headlamps, electronic power steering, an enhanced accident response system, electric power steering, a tire pressure warning limit, and tire service kit. Available features include rain-sensitive windshield wipers, the ParkView rear back up camera, ParkSense rear park assisting system, and blind-spot monitoring. Feel the sun on your face and the wind in your hair with the 2018 Fiat 124 Spider! This sports-car will have you road tripping ASAP! If you want to learn more about the Fiat 124 Spider, go ahead a give our sales department a call using their direct number: (732) 344-0153 or fill out the contact form provided below! Come down to the dealership today and you can check this baby out in person and even take a test drive!